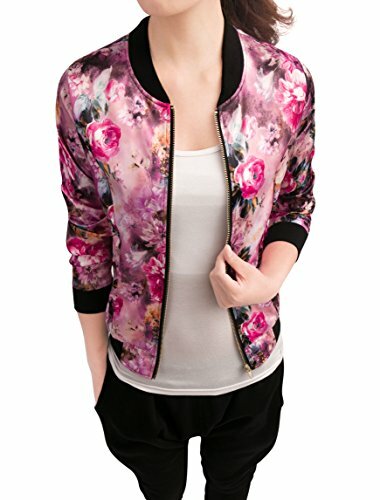 This bomber jacket is designed with floral prints in bright colors and long sleeves. It is detailed with a zip fasterning front and ribbed at cuffs and hem. Wear yours over an all-black outfit to keep it in spotlight. If you have any questions about this product by Allegra K, contact us by completing and submitting the form below. If you are looking for a specif part number, please include it with your message.